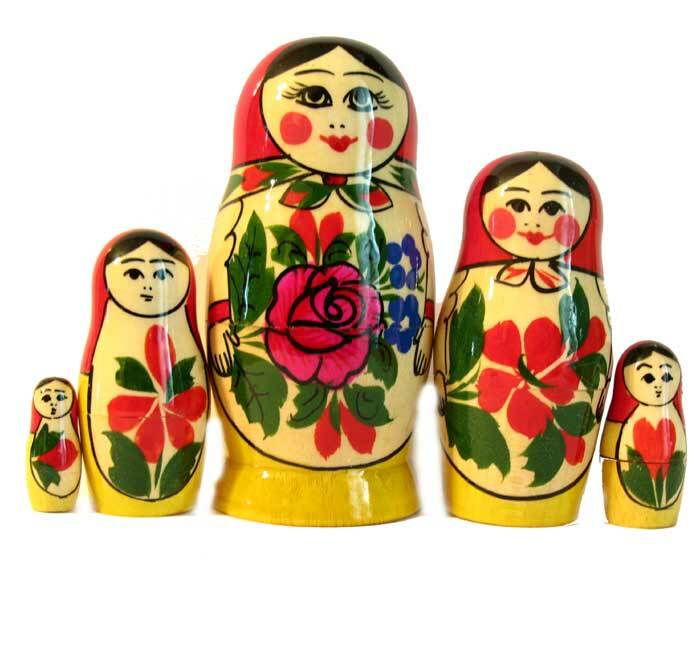 5 pieces set, size 11 cm/4-1/3"
Matryoshka Russian Girl 5 pieces set is painted in Semionovo style. This style it is easy to determine - bright colors, mainly pure red and yellow, bright roses painted on the apron of the matryoshkas. 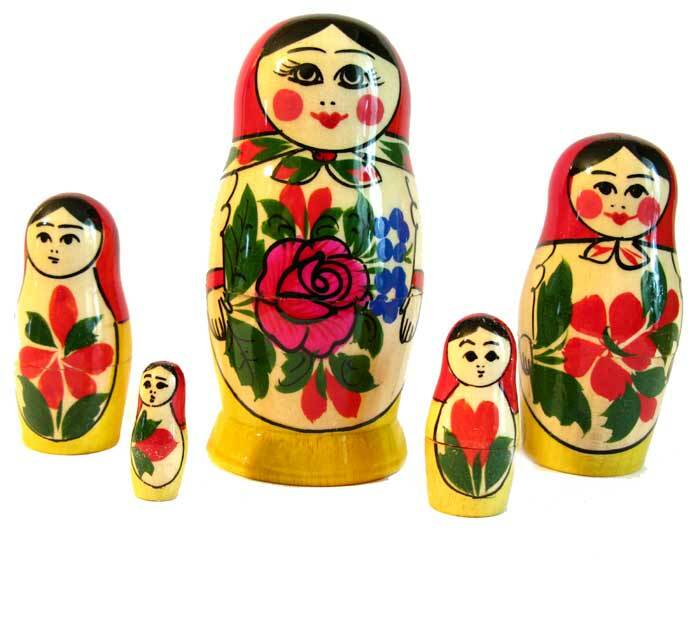 This simplicity is easy to understand so little children like these nested dolls most of all. 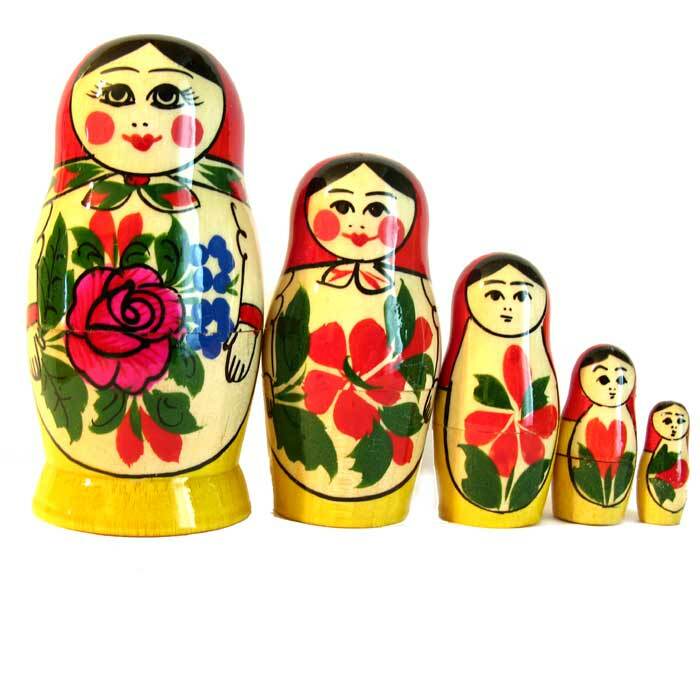 The nesting doll is made of soft linden wood, painted with bright not toxic painte and finished with glossy oil lacquer.